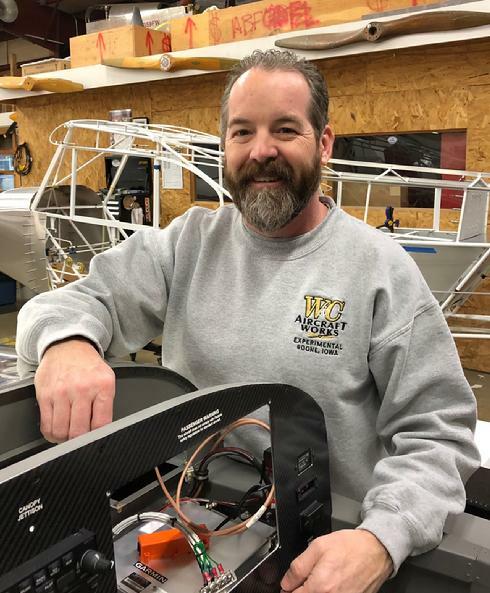 After working at W&C part time for over a decade, Tony Aspengren has retired from the Army National Guard and is with us full time as an avionics technician. Tony has over 25 years of experience and is available for wiring, new installations, upgrades, and related services. Give us a call at 515-599-0231 (please leave a message) or email admin@wcaircraft.com to discuss your needs. W&C's supporters host a luncheon fly-in one Saturday every June focused on builders and owners of Van's Aircraft. This event offers a unique opportunity in central Iowa to see a large group of flying RVs, visit with the pilots, and engage in a little "show and tell". In addition to RVs, the event draws other experimentals, a contingent of Cubs, Super Cubs, and a number of warbirds. W&C offers workspace and assistance for building and repair of experimental aircraft as well as for restoration of select vintage aircraft. Whether you want to do it yourself or do it with help, consider W&C for your project.